Friendly host, basic but very clean house. Lovely veranda is a great place for sitting and watching the world go by. Area is quiet, right next to beach. Giant tortoises and crabs in the garden were popular with the kids. Lots of birds around too. Nice place. Excellent vacation home in serene location! We stayed here for Christmas in 2012 and it was absolutely amazing. The house was clean and very well equipped with everything we needed. The tortoises were more fun than we could have ever imagined. Our two year old loved feeding and riding them. The hosts up the 'road' were so kind and always made sure we had what we needed and were happy. Many great restaurants around and the beaches are breathtaking! Hopefully we make it back to this side of the world again! THANK YOU!!! Wir haben eine tolle Woche in Muriels House verbracht. Es war toll...Entspannung pur! Der Punkt aufs "I" ist Fiona als gute Fee die sich um alles kümmert und alles besorgt, was das Urlauberherz begehrt...Absolut empfehlenswert!!! Es war wunderschön, wir haben unseren Aufenthalt sehr genossen. ist goldwert. Ob frische Früchte Taxi oder Fisch ausnehmen - Fiona war immer für uns da. Für Taxifahrten ist Clifford sehr zu empfehlen ( wird von Fiona vermittelt ). Würden das nächste mal trotzdem einen Mietwagen nehmen da es viele Sachen vereinfacht. 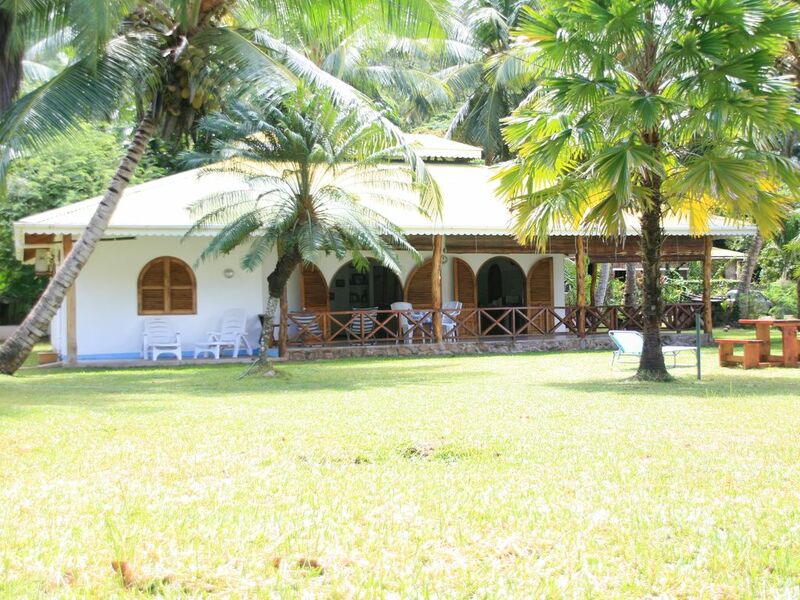 There are 2 possibilities of access: via Praslin airport (approx. 5 km (bus or taxi)) or via ferry from Victoria / Mahe arrival next to Baie St. Anne (7km). The most beautiful beach of Seychelles -Anse Lazio- is around 4km away. Swimming with diving mask are as possible as relaxing at the beaches or hiking over the nice collins of Praslin until Grande Anse. Taking courses in scube diving or wind surfing at Cote d'Or (3km) are also possible.